Outstanding officers in the Union regiments who had completed their terms of service with one regiment were often prevailed upon either to help or to take command of existing ones. This was true of several officers in the 16th Regiment, New York Volunteers, the "Straw Hat Men of History", who left Potsdam for the battlefields in April, 1861. Capt. 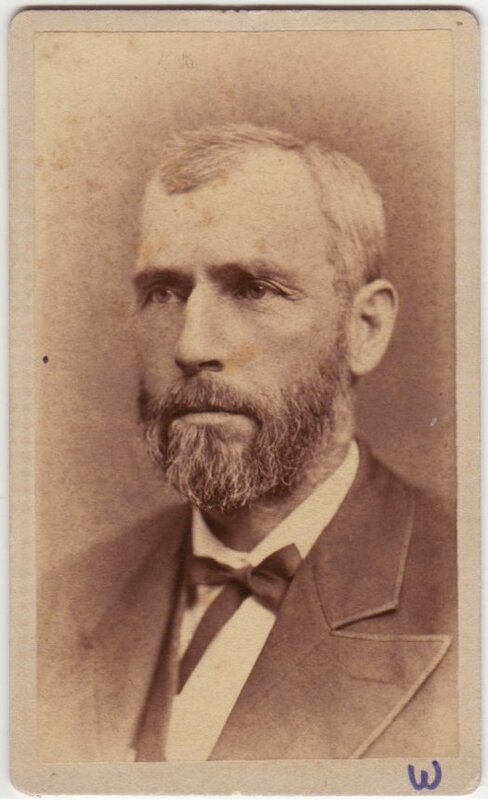 N. M. Curtis of Ogdensburg, who commanded a company in the 16th, was named Lt. Colonel of the 142nd Regiment, New York Volunteers, and William H. Walling, also of the 16th, took command of a company in the 142nd. Capt. 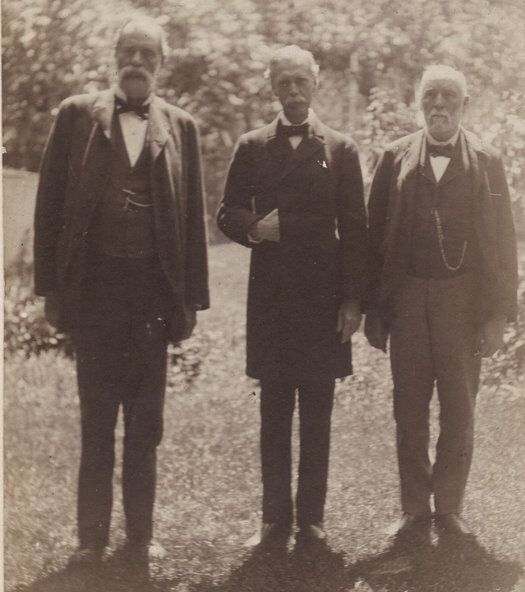 John C. Gilmore and Lt. Edwin C. Knapp of the 16th helped organize the 193rd Regiment, New York Volunteers. Gilmore received a commission as Lt. Colonel of the Regiment, and Knapp, the captaincy of Company B. The 142nd Regiment, N.Y.V., was raised in Ogdensburg by R. W. Judson. It left the North Country on October 6, 1862, with Colonel Judson in command and Lt. Colonel Curtis was promoted to Colonel in February 1863, and later was commissioned a Brigadier General for gallantry in leading the assault on Fort Fisher, North Carolina, in January, 1865. When he was made General, the command of the Regiment was taken over by Albert M. Barney of Gouverneur, also a former officer of the 16th Regiment. 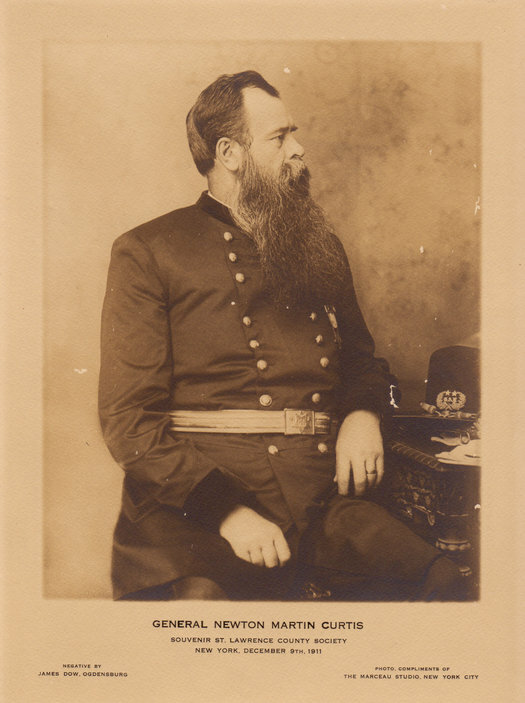 William H. Walling, another officer of the 16th, commanded Company F of the 142nd Regiment. Captain Walling captured the rebel flag at Fort Fisher, and for this gallantry in action as awarded the Congressional Medal of Honor. The 142nd Regiment participated in the battles of West Point, Cedar Creek, Chaffin's Farm, Fort Fisher, Drewry's Bluff, Bermuda Hundred and Petersburg, and many minor engagements. The Regiment was mustered out in accordance with orders from the War Department on June 1, 1865. "Colonel J. B. Van Patten has been authorized by the Adjutant General of the State to raise a new regiment in six Congressional Districts. He has designated Lt. E. C. Knapp of Potsdam and Lt. J. H. Hitchcock of Pierrepont to raise two companies in this county...Major Gilmore is to be the Lt. Colonel of the regiment and the headquarters will be in Elmira." "Ransom Matthews of Potsdam, late 2nd Lt. of Company B, has been promoted to 1st Lt., Co. E 193rd, NY Volunteers. Horatio N. Warden, later orderly sergeant of my company, has been promoted to 2nd Lt. in place of Lt. Matthews. Our regiment is pretty well divided at present. We have four companies at Harper's Ferry, W. Va., and one at Martinsburg, one at Cumberland, Md., two at Winchester, one at Woodstock, Va., and Company B, Mooreville, 275 miles from Harper's Ferry, which is the headquarters of the 193rd Regiment." The 193rd Regiment, N.Y.V., remained in the Union Army until January, 1866, enforcing the civil law in the West Virginia area. Captain Knapp wrote to the Courier & Freeman on January 12, 1866, to say that the Regiment expected to be mustered out soon and that he "will soon be ready to join the home guards".